When you complete your training and qualifications with EC4U, we don’t want the support to stop there, which is why we offer one of a kind after course support for every single one of our customers. We want to ensure you get the best support and guidance when you need it most! Whether it is on the job help, advice on a new installation, or guidance on joining a Part P Scheme Provider, we have an after course support option available for you. To find out more about the support we offer to you, click here! One of our most popular electrician courses, which is designed for people with little or no experience who are looking to become a Domestic electrician. With these course qualifications you will be able to apply to join a Government approved part p scheme provider and self certify that your work complies with up to date building regulations. If you are new or have some experience of electrical installation work and want to get qualified quickly then this is the course for you. When booking our Domestic Electrician Course, you will have the option of paying for the course in full (£1700 inc. VAT) or reserving your space by paying a deposit (£700 inc. VAT). This course has been created specifically to bring all the key electrical courses together to give you the qualifications, knowledge, skills and competency required to become a Domestic Installer. It will allow you if required to join a Government approved Competent Person Scheme, such as NICEIC/ELECSA, and self certify that your work meets current government and building regulation guidelines. If you’re new to the trade and don’t have many tool skills, we suggest the Domestic Electrician Package with our unique Experience Week. Here you will be able to put your skills to use in realistic scenarios within our three mock flats. This course was designed specifically for people with little or no experience of electrical work who are looking to either pursue a career as an electrician (self-employed or employed), combine it with an existing trade or to undertake your own property renovations. We will show you how to install electrical circuits inside and outside of properties and equip you with the essential knowledge and skills required to complete our Domestic Electrician Course. This Part P course will deliver an excellent understanding and working knowledge of the Building Regulations which have been in place since the 1st January 2005. Part P of the Building regulations is specific to electrician’s safety within domestic dwellings and covers the dos and don’ts we must follow as domestic Installers when working in somebody’s house. The objective of this course is to give you an excellent understanding of the current wiring regulations that electricians need to follow when doing any electrical installation work. This qualification is essential to be able to apply and join a government approved Part P competent scheme. In this course we will show you how to inspect and test any new or altered electrical circuits starting with dead tests to prove it is safe to turn the power back on and then live tests to prove that the circuits are safe and meet current wiring regulations criteria. You will then be shown how to complete the required paperwork (Schedule of Test Results) that needs to be left with the consumer unit/fuse box to comply with Part P of the Building Regulations. 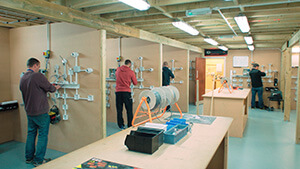 For more information on this electrical training course, please view our course video. If you do your electrical training with us, we’ll give you a guaranteed £50 discount when joining either the NICEIC or ELECSA. This course consists of four separate courses and will last 15 days. The core course times are Monday – Friday 9:00 AM – 4:30 PM. Please take a look at our course FAQ’S for further course information. 1. Online multiple choice exam consisting of 50 questions which you have 1 Hour and 40 minutes to complete. 2. 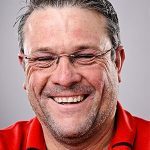 A practical assessment where you will have to demonstrate that you know how to safely isolate a consumer unit, perform all the live and dead tests and fill in all the necessary paperwork to comply with Part P of the Building Regulations. You will have 2 Hours to complete this assessment. The following publications are to be purchased by all customers wishing to take part on the Domestic Electrician Course. These books are ONLY for sale to customers who have booked a course with us. Books will not be posted out and will be available on the first day of your course. There are no qualification entry requirements, however you will need to be 18 or over to attend this electrical training course. If you would like any further information about our Domestic Electrician course or any of our electrical courses, please call us on 01444 872145 and we will be delighted to help you. We understand that it may not be practical to train over 3 consecutive weeks so you can break the course up and complete it a week at a time and pay a week at a time. Please ask our sales staff for more information.